Turkish Dance Night : Live music and dance show. Dances from different regions of Anatolia are performed as well as group and solo oriental dances with modern choreography in the collages, with specially designed costumes and accompanied by live music. In addition, an exhibition in the foyer area which describes The History of Dance Culture in Turkey starting from 10.000 years back to today with graphics , pictures and video support can be seen. Complimentary beverages and turkish delight service is available during 15 minutes intermission. 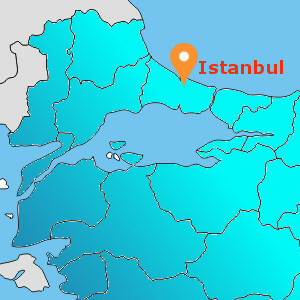 No Shuttle Available : Guest should arrange their own transportation to Hodjapasa Culture Center which is located in Sirkeci area.